In the “links to more” section below, you’ll see that we also had some baptisms. Plus, see what kind of “rare find” Geña came across in our back yard! Bible School. We are finishing up the Spring Quarter which has definitely served as one of the most productive so far, studying Biblical Theology and Vision. There were a number of excellent visions for ministry that came out of the Vision class. Once we get the Civil Association squared away, we have the potential of this organization, “Cofradia United”, exploding! Mexican Civil Association. We’ve sent in our objectives for review and are waiting for a response. Upcoming Activities. Thank you for praying for these as the planning continues to be fine tuned. Mexican Civil Association. Please continue to pray for a smooth start-up to the official organization. Trip to the States. Please pray for safe travel, smooth border crossing, and wisdom as we look forward to the God-encounters on the way. We’ll be speaking in churches and visiting friends throughout California, Oregon, and Washington. We would love the opportunity to share at your Church, Sunday School class, Youth Group, Home Group, etc. Please contact us about setting up a date! We leave Cofradía on Saturday, June 13 and should be arriving in Bremerton, Washington on Friday, June 26. Then, tentatively, we’ll start our way back to Cofradía leaving Washington on Monday, August 10 and crossing the border into Mexico on Thursday, August 27. Can’t wait to see you! Upcoming Activities. Please pray for wisdom and direction for all the leaders and staff involved in our upcoming events; pray for those who will be ministered to to have open hearts and lives to be changed; pray that our ultimate goal of glorifying God will be fulfilled. Three major activities coming up are a Short-term Missions Team in July, EL RETO youth outreach that begins August 29, and we’ll be hosting a Freedom in Christ conference (through Neil Anderson’s ministry) in December. 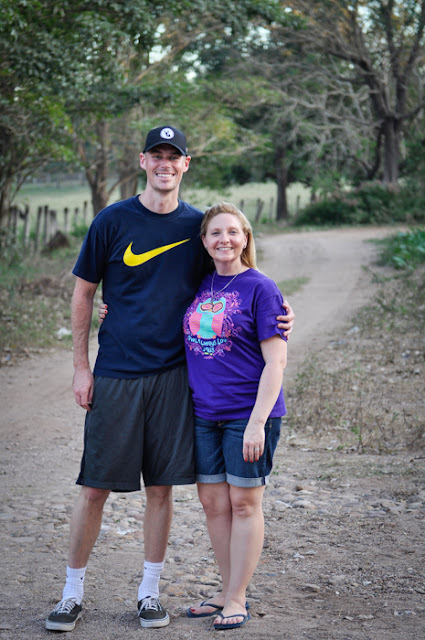 I would like to introduce to you Lain and Kelly Grant from Cy-Fair Christian Church in Houston, Texas who will be joining our Missionary Staff at the end of the summer for a two year commitment. 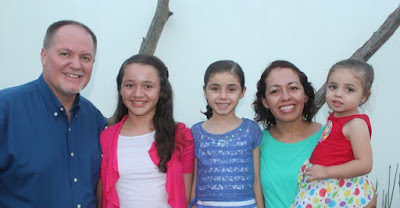 During their recent visit to Cofradia in January of 2015, the Lord began to stir in their hearts a desire to return full-time after learning that we were in need of staff. We are all excited for this new adventure for the Grants and look forward to seeing how the Lord works in them and through them as they serve here. They will be living on the Mission base, helping with maintenance and cleaning, assisting with short-term mission teams, creating windows for people to see what’s happening inside this ministry through reports, and serving in any other specific area and ministry they can. They are an answer to prayer and we are delighted to receive them. Please pray for them as they wrap things up in Texas and prepare for this transition in their lives. You can help them get started here.